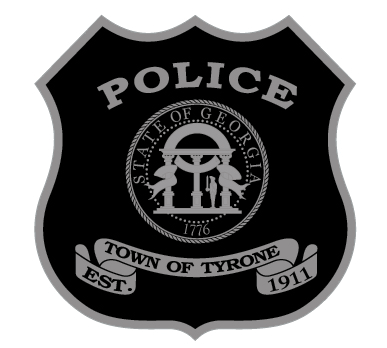 How do I become a police officer in Georgia? From GPSTC Website - "Employees and Pre-Service candidates must meet the requirements of Georgia Code 35-8-8 which includes at a minimum: eighteen (18) years of age; possess a High School diploma or equivalent and a valid driver's license. See http://www.gapost.org/3588.htm"
In addition, the Georgia Peace Officer Standards and Training Council (POST) provides detailed information on their website at http://www.gapost.org/. POST is the State agency responsible for establishing certification standards and issuing officer certifications. I got clocked on a RADAR unit while driving in the opposite direction of the officer. Can RADAR detect my speed if I am traveling in the opposite direction of the officer? Absolutely. You have to remember that the equipment we use works on the same principles as those of the military to detect aircraft, ships, and missiles. Radar can accurately detect the speed of targets moving in opposite directions. Radar can be used in either moving or stationary mode to detect the speed of your vehicle. We are extremely selective in our hiring process to ensure that we hire the best possible applicants. We feel that, since our citizens provide us with a great place to work, it is our duty to provide them with a great place to live. A big part of that is hiring professional officers who are ethical and well trained. Consequently, we conduct a thorough background check including work history, personal history, criminal history, and driver history. All applicants are also required to participate in a psychological evaluation by a licensed psychiatrist. Additionally, applicants will have a physical and drug screen and a polygraph test. Finally, all applicants must appear in front of our oral interview panel consisting of a selection of members of the agency. This panel will ask the applicant a standard series of questions and complete a rating form. Once all of these steps are complete, the background investigator will make a recommendation to the Chief of Police. All selected applicants will then have a final interview with the Chief of Police. The Chief will then make a recommendation to the Mayor and Council, who must vote to appoint all new hires. In all, it takes roughly 6 weeks to complete the hiring process. ​Is RADAR and Laser technology really accurate enough to measure my speed? ​What are my rights when I get stopped by an officer and get accused of speeding based on the use of RADAR or LASER? There is a misconception that officers must allow drivers to see the RADAR before a citation is issued. The truth is, the officer is required to offer you an accuracy check of the RADAR prior to issuing the citation, but they are not required to show you the unit. The accuracy check consists of internal self-checks of the unit followed by measurement tests with calibrated tuning forks. RADAR units do not provide print outs of the accuracy check results. If you are being charged with speeding based on LIDAR/LASER, the officer is not required to show you the unit here either. Further, the courts have taken judicial notice of the accuracy of these units, so field tests of the accuracy are not required either. The LASER unit is tested at the beginning and end of the officer's shift by aiming the unit at an object at predetermined distances - 100 and 200 feet respectively. In most cases, no. Police in-car cameras are designed to record the traffic stop itself and are generally not used to record stop signs, etc. While we do not have a policy prohibiting our officers from recording stop sign or other violations, most of our officers do not do this as it would require too much physical and/or digital space to store that amount of video. The primary use of the in car camera is to protect the officer from false accusations of misconduct during a stop and to record evidence obtained during a stop. Can you help us setup a neighborhood watch program? Yes. Please contact Chief Perkins at 770-487-4732 or at bperkins@tyrone.org to find out more. How do I file a compliment or complaint on an officer? Police reports may be picked up in person at the police department (945 Senoia Road) Monday - Friday from 8 a.m. to 5 p.m.